The single-minded pursuit of 'great taste'. And the soul of an artisan. 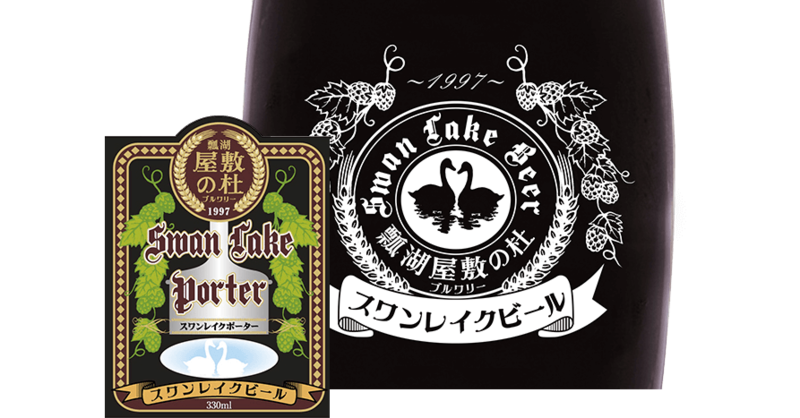 The craftsmanship of our brewmasters combines with famously pure underflow water from the Agano River in Echigo, northwest Japan, to produce brewing masterpieces. 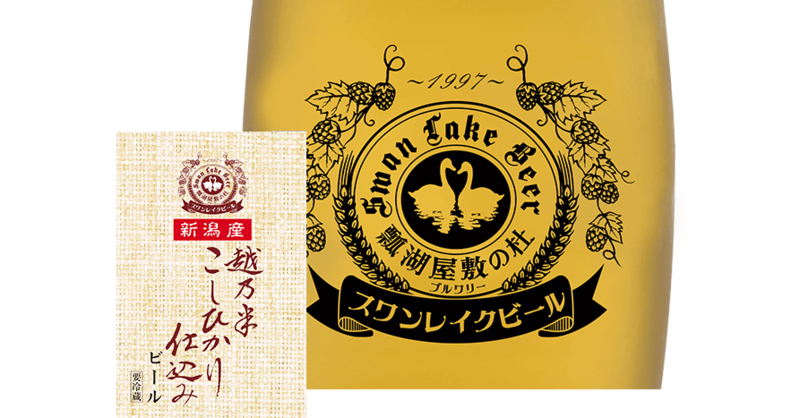 In 1997 we built a local microbrewery in Ikarashitei, the former residence of a wealthy farmer, at the foot of Mt. Gozu in Kanaya, Niigata Prefecture. 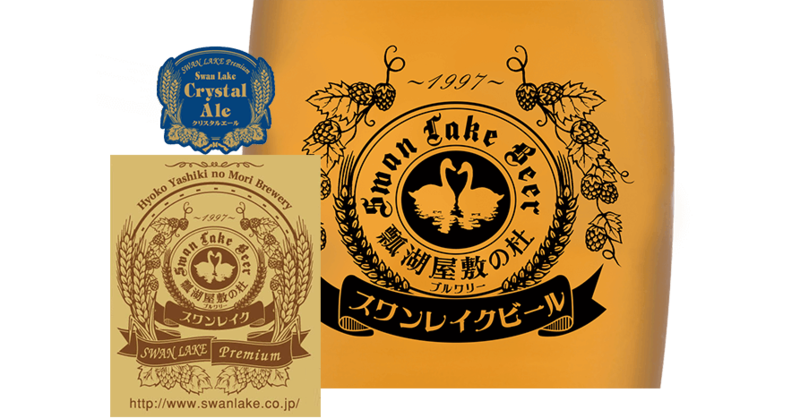 Our beers, which mature in the rich natural environment near Lake Hyo, truly are a taste of nature. 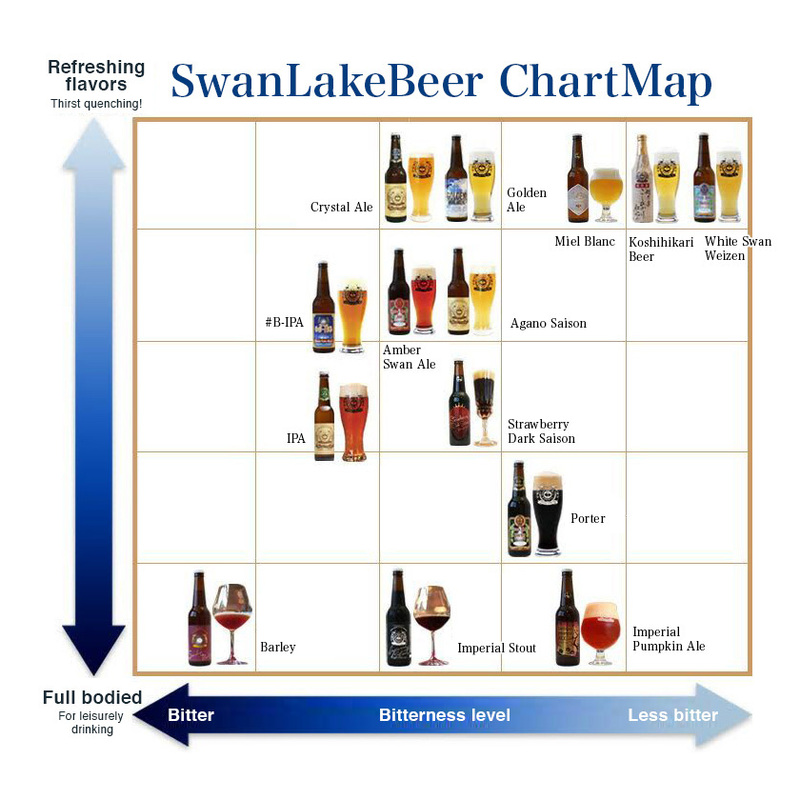 Swan Lake Beer Chart Map Welcome to the world of craft beers! 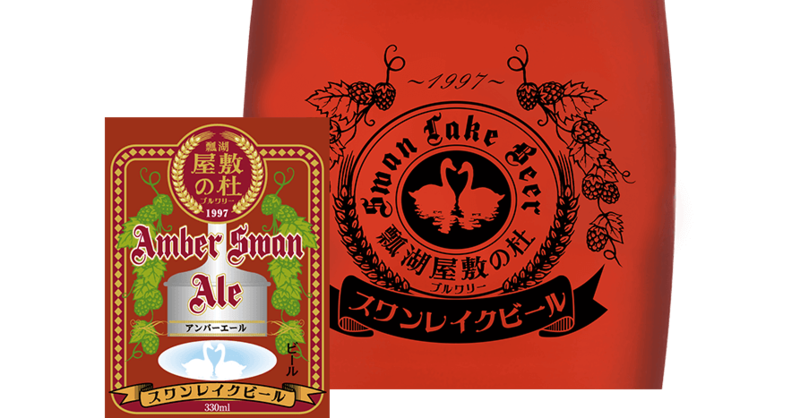 With the slogans, 'A challenge from Niigata' and 'From Niigata to the World', Swan Lake Beer first won a gold medal in New York, U.S.A., and we continue to brew beers under the concept, 'A once-in-a-lifetime encounter with genuine, globally-renowned beers'. 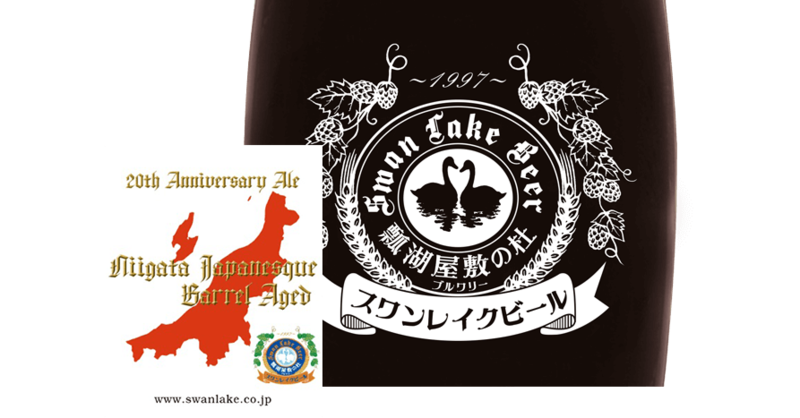 With the acknowledged skill of our brewmasters (beer artisans) and our single-minded pursuit of 'great taste', at the World Beer Cup (often referred to as the 'Beer Olympics') in 2000 in New York and 2006 in Seattle, in which beer makers - including major breweries - from 38 countries competed, Swan Lake Beer was awarded a gold medal for 'World No.1' in a field of 1150 different brands, the first time ever for a Japanese beer. 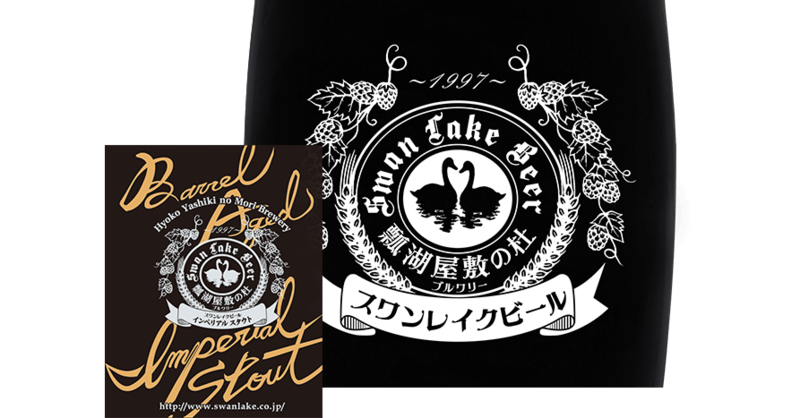 A soul devoted to the pursuit of excellence enables us to spread our wings and fly from Niigata around the world, and in the future, we will strive to present beers of yet more taste and intensity. Filtered for a clear golden color. Using only base malt, a solid state fermented ale with no impurities. 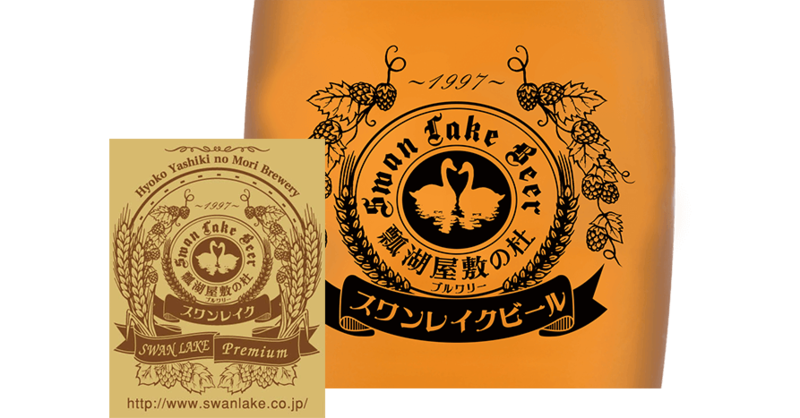 Brewed using koshihikari rice from here in Niigata Prefecture. Among our regular beers, Koshihikari Beer is unique in being a bottom fermentation beer (lager). With a lightness not to be found in beers brewed with malt, another special feature is its dryness. Utilizing around 50% wheat malt. 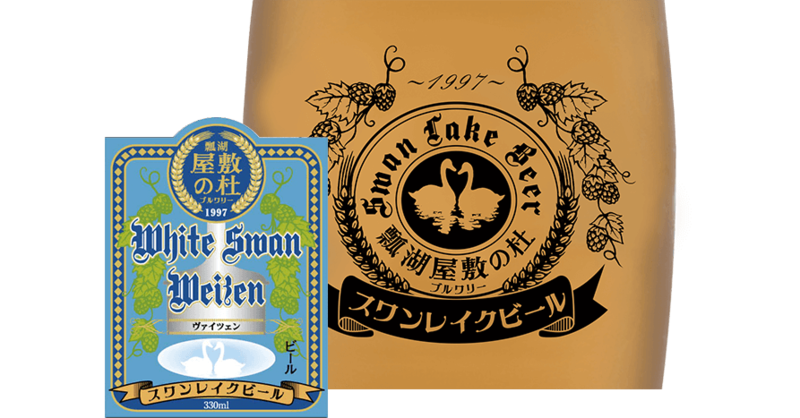 The distinctive weizen aroma and cloudiness are a product of the wheat malt and yeast. 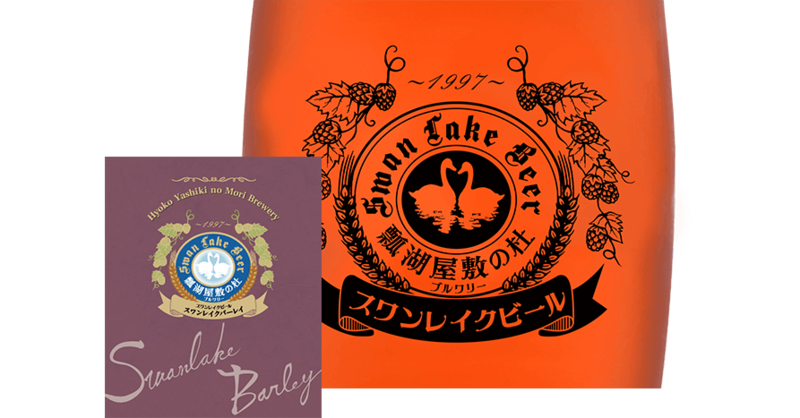 Plenty of caramel malt lends this ale its caramel flavor and aroma. Being American-style, the aroma and strong bitterness of hops are characteristic. Utilizing several varieties of special malt. The unique qualities of these malts, along with the aroma and bitterness of hops, give this porter a harmonious balance. Another special feature is the roasted flavor of the malt. You can feel the exceedingly strong bitterness of hops in this IPA, which is brimming with a flowery hop aroma and flavor. A pleasant beer with bitter notes and the gentle aroma of edible flowers. The aroma of dry hops and a hint of malty sweetness make for an enjoyably smooth taste and refreshing drinking experience. 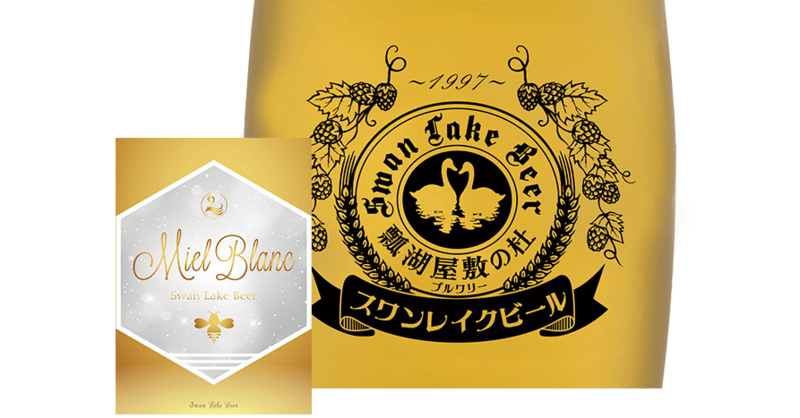 Using 'yukichikara' wheat grown here in Agano City, Agano Saison quenches the thirst with its traditional saison yeast and wheaty aroma. 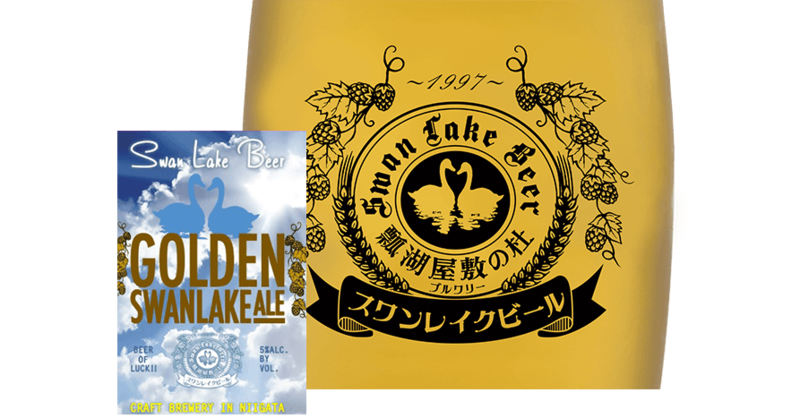 With a malt aroma that brings to mind cookies or nuts, and a hint of sweetness derived from honey, this beer is nevertheless dry to the taste. A fruity acidity created by wine yeast and a clean, subtle flavor will permeate your whole body. 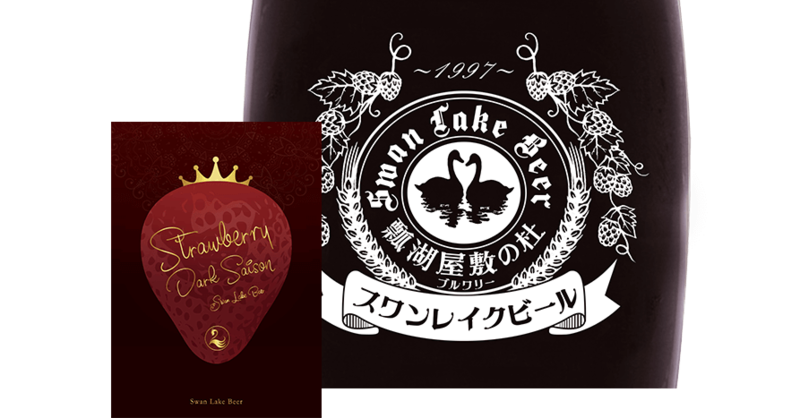 The acidity of strawberries, saison yeast, and roast malts produce a lightness not usually associated with stout. Overflowing with berry flavors, the fruity aroma and strawberry polyphenol enable you to enjoy both a perfect level of bitterness and a balanced richness. 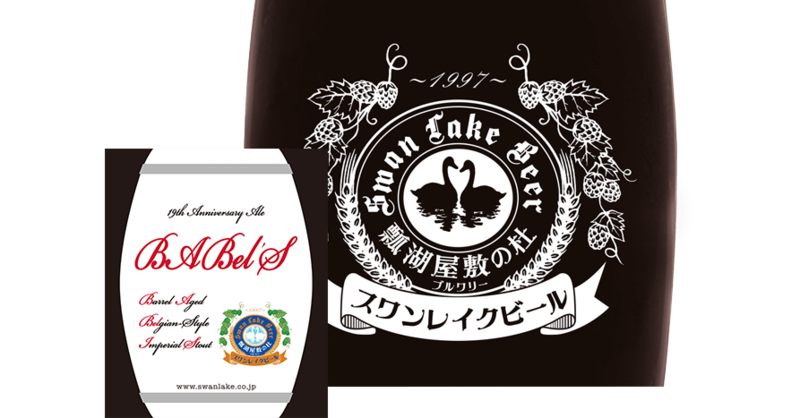 Utilizing double the usual amount of ingredients, an aged beer that is matured over the course of a full year. With a full-bodied taste and a strong malty sweetness, this has a well balanced, harmonious bitterness, with a complex intermingling of its strongly alcohol-infused ester aroma. 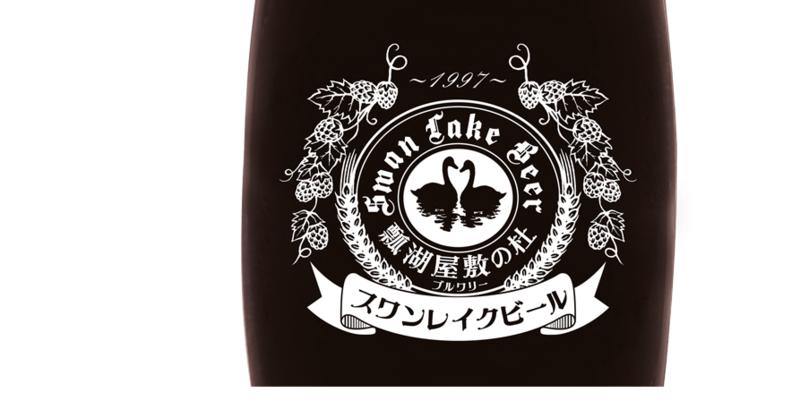 Swan Lake Barley Barrel Aged uses double the usual amount of ingredients and is aged in oak barrels. Full bodied, with the rich sweetness of malt, and mixed with the alcohol flavor and fruitiness of ester aromas, its bitterness is harmoniously well balanced, and given depth by vanilla, smokiness, and the characteristic woody aroma of oak barrels. A beer that elegantly brings together a complex combination of aromas and flavors. 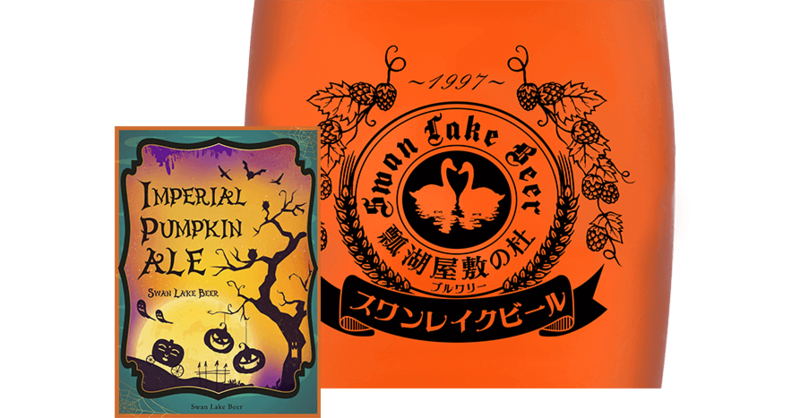 With the alcohol-feel of an imperial and a spicily aromatic flavor, the simple sweetness of pumpkin is a feature of this ale. Savor a taste ideally suited to long autumn nights. 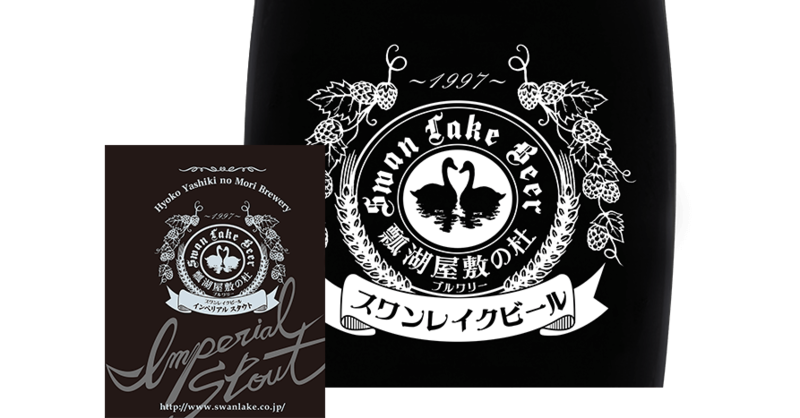 This jet-black beer reveals itself as a rich darkness before your eyes. There are, however, a host of vivid tastes illuminating that darkness. An overwhelming feeling of roasted flavors brings to mind coffee, caramel, and bitter chocolate, and a refined taste from the lengthy aging process suggests dark fruits. The use of plentiful ingredients has created a deep flavor and high alcohol content. The numerous and complex subtleties of light and shade will surely envelop anyone who loves craft beer in their warm embrace. This jet-black beer reveals itself as a rich darkness before your eyes. There are, however, a host of vivid tastes illuminating that darkness. An overwhelming feeling of roasted flavors brings to mind coffee, caramel, and bitter chocolate, and a refined taste from the lengthy aging process suggests dark fruits. The use of plentiful ingredients has created a deep flavor and high alcohol content. Thanks to additional barrel aging, this stout is overflowing with the unique vanilla and smoky characteristics of wooden barrels. The numerous and complex subtleties of light and shade will surely envelop anyone who loves craft beer in their warm embrace. BABel'S 'Barrel Aged Belgian-Style Imperial Stout' is a beer with a complex intermingling of the roasted flavors from chocolate malt, the fruity, spicy aroma of Belgian yeast, and an aroma of vanilla that comes from wooden barrel aging. With a dry finish that belies its high alcohol content, this beer is swathed in a limitless range of aroma and flavor notes. Niigata Japanesque Barrel Aged uses koshihikari rice as a main ingredient, so it combines a light taste with the gentle sweetness of the rice. The flavor of malt and hops, along with aroma and acidity from Belgian yeast, mature to captivating effect in the long aging process. 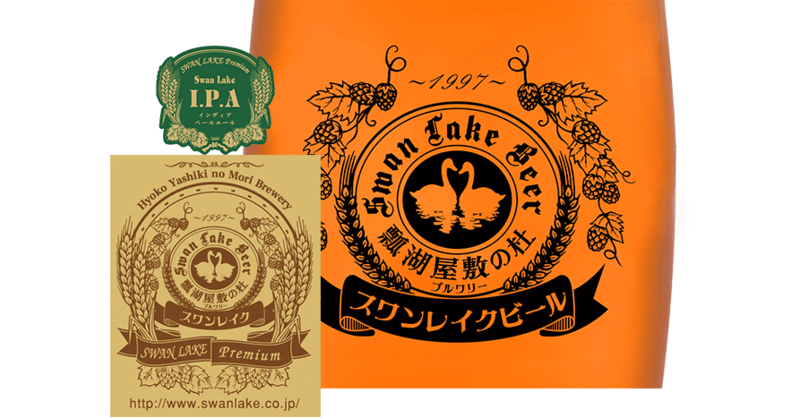 A beer that is traditional, yet at the same time pursues fresh values. 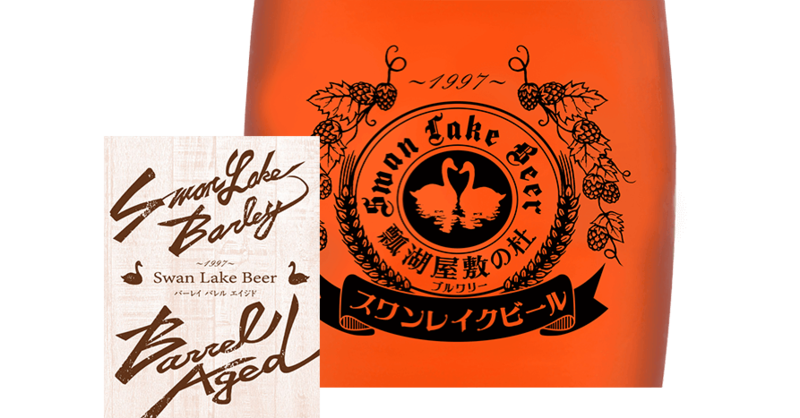 Niigata Japanesque Barrel Aged uses koshihikari rice as a main ingredient, so it combines a light taste with the gentle sweetness of the rice. The flavor of malt and hops, along with aroma and acidity from Belgian yeast, mature to captivating effect in the long aging process, giving this ale a unique quality that originates in the wooden barrels. A drink that is traditional, yet at the same time pursues fresh values.